Ancient temples, incredible street food and where jaw-dropping mountains meet ocean. Asia, you so sweetly and subtly impress. What surprised us the most when we arrived in the world's most populated city of Tokyo, was how clean and calm it seemed despite massive crowds. As we boarded the bullet trains and buses, we noticed the lack of trash and the quiet nature of the locals. As we continued our 12-week journey from Japan to Korea and through southeast Asia, the pattern remained. This part of the world is populated, yet calming with its stunning scenery, Buddhist temples, and welcoming locals. In each new destination, it's history and landscapes impressed. There were places we had never heard of that ended up being some of the most stunning landscapes we'd ever seen. Guilin, China offered a small-city feel with massive mountain karsts in all directions. A bamboo raft trip down the Li River made it easy to fall in love with the surroundings. We had heard about the rice fields that span across hilltops. And when we came upon them, we were awestruck. There's just nothing else in the world quite like it - the precision of these areas carved to perfection. So we stayed and marveled, and ate the sticky rice from a bamboo flute. And then ordered more. Our lunch quickly turned into a show where the locals showed us their traditional marriage celebration. Justin was the lucky chosen groom, who carried his bride around the room while flowers were thrown. It was all in good fun, until we had to get the clear that the ceremony was indeed fake! From the wild and sleepless capital of Bangkok to the perfectly positioned beaches of Phuket, Thailand is a country to fall in love with. Here we spent our two-week finale to our time in Asia - it's the perfect place to unwind, relax or seek adventure if you so choose. Adventure is easily found as mountains pair with endless palm trees and turquoise waters. There are so many activities to try like rock climbing above the water (deep water soloing), spear fishing, scuba diving, cave splunking and fire spinning to name a few! We just touched on a small fraction of what this part of the world offers. Wherever your trip to Asia takes you, you're sure to find experiences that are perfect for your travel style. 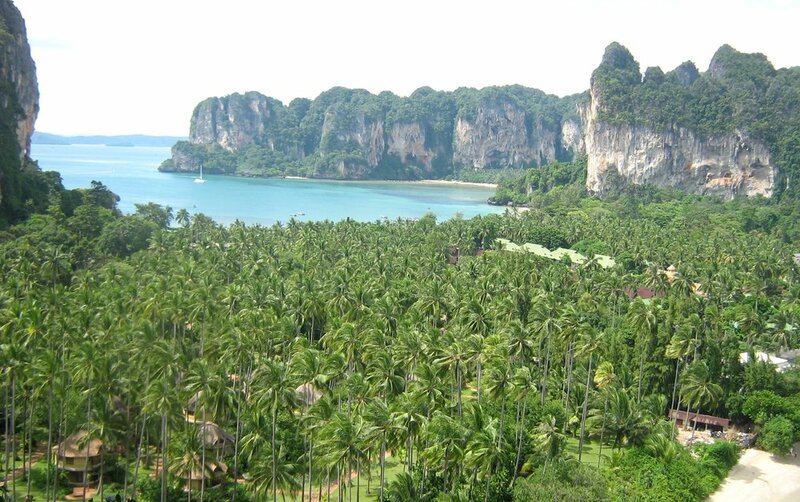 Located in Thailand, this beach is a popular tourist attraction since it was filmed for the movie The Beach in 1999, starring Leonardo DiCaprio.